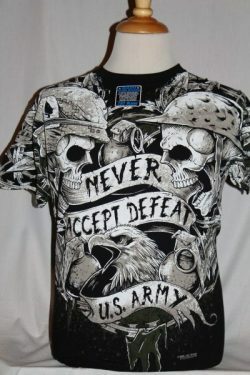 The Never Accept Defeat T-Shirt is a jumbo design in black. 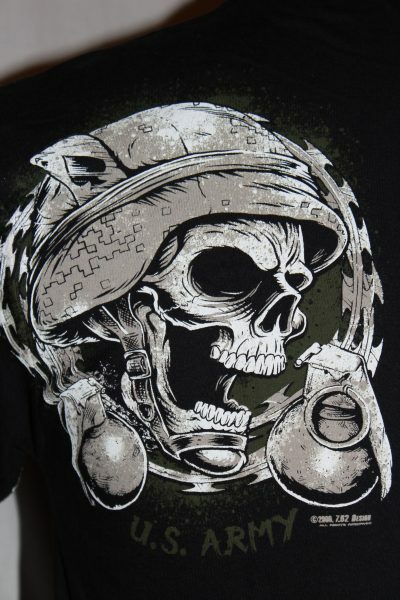 Front image shows WW1 and modern helmeted skulls with grenades and eagle. 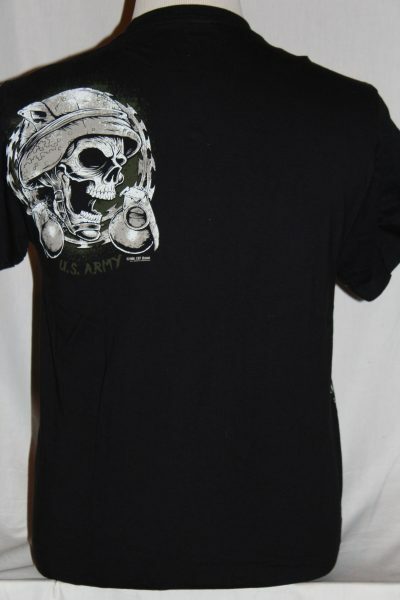 Back image shows modern helmeted skull on upper left shoulder.